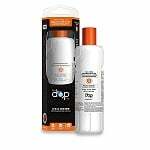 The Whirlpool EDR3RXD replacement refrigerator ice and water filter fits your Whirlpool, MAYTAG, KitchenAid, JENN-AIR and Amana brand appliances to deliver cleaner water. NSF certified testing shows 66 fewer contaminants. 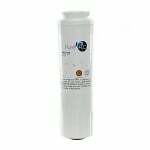 The Whirlpool F2WC9I1 ICE2 replacement ice maker water filter reduces contaminants in household water. 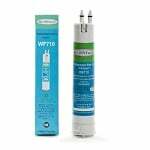 The AquaFresh WF710 Water Filter is the correct compatible replacement for the HDX FMW-5. 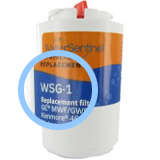 The AquaFresh WF537 is the correct replacement for the Kenmore 9081. 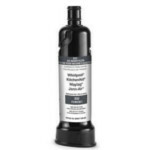 The AquaFresh WF537 is the correct compatible replacement for the Whirlpool P8RFWB2L. 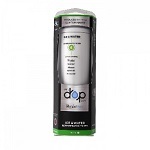 The Whirlpool EDR4RXD1 replacement refrigerator ice and water filter is NSF certified to reduce 23 contaminants found in water. Know the water you drink is safe when potentially harmful pollutants such as pharmaceuticals, parasites, and mercury. 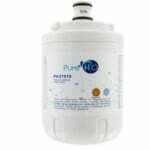 With the PureH2O PH21500 Replacement for EcoAqua EFF-6007A compatible refrigerator water filter you get NSF42 Certified chlorine taste and odor reduction while saving a lot of money in the process. 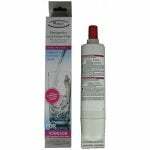 The PureH2O PH21200 is the correct replacement for the Kenmore 4609085. The AquaFresh WF537 is the correct replacement for the Kenmore 9930. 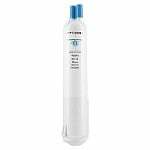 The AquaFresh WF710 Water Filter is the correct compatible replacement for the OnePurify RFC3800A. 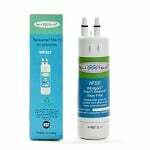 The AquaFresh WF537 is the correct compatible replacement for the OnePurify RFC3700A. The PureH2O PH21200 is the correct replacement for the Kenmore 9085. 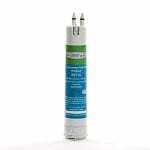 The PureH2O Replacement for ClearChoice CLCH100 is the PureH2O PH21200.